You just got done with a grueling work week. It was thankless, unappealing, long and arduous. Your boss screamed at you, the clients didn't buy and you got stuck battling traffic at every waking moment. You thought about quitting 43 different times. Needless to say, it was arguably the single worst week of your entire life. No need to let it eat at you though. Simply get back at the misery that was your work week and book a limo through us here at Vancouver Limo Service PDX. We specialize in helping the middle-aged office employees escape the torture of their 50 hour work weeks. Grab a couple of your buds who also battle the frustration of being proverbially hog-tied to a significantly under-paying cubicle position designed only to make some narcissist richer by the millisecond. 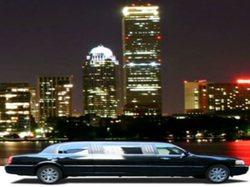 Our limos are decked out audibly and visually amenities-wise. Our cars are clean, modern, comfortable and we adhere to the eco-friendly model. We want you to find peace in knowing that our limousines do not negatively affect the environment. If you have any concerns, phone us immediately and we will instantly amend the issue. Our drivers are the utmost courteous, friendly and professional. You and your crew will have the best time in weeks, and will help you forget about the week of work that you just had to endure.